The 2017 Fiat 500 Abarth is the high performance version of the fun Fiat lineup. Blasting through the countryside or darting through traffic in great fun in a 2017 Fiat 500 Abarth. 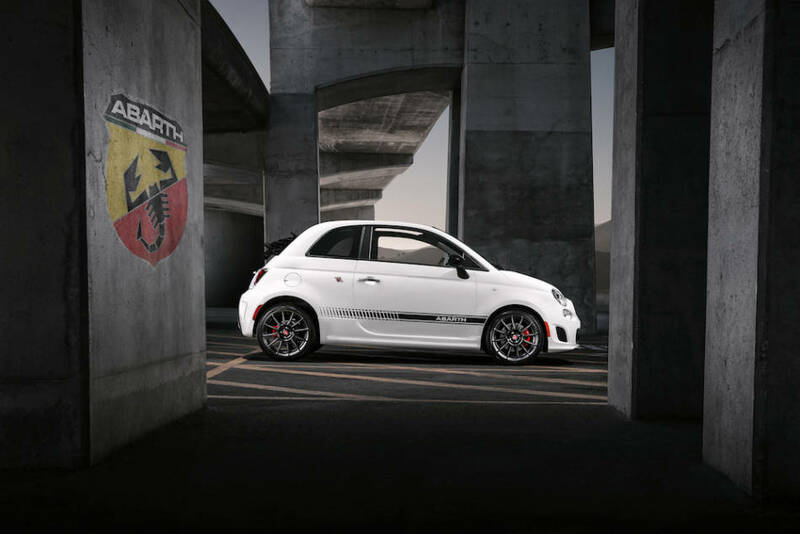 The 2017 Fiat 500 Abarth has a small cargo area that is easily accessed via a high opening rear hatch. 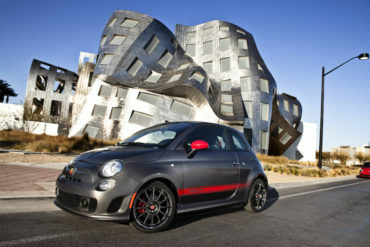 The 2017 Fiat 500 Abarth is available in both hardtop and Cabrio (folding canvas top) versions. 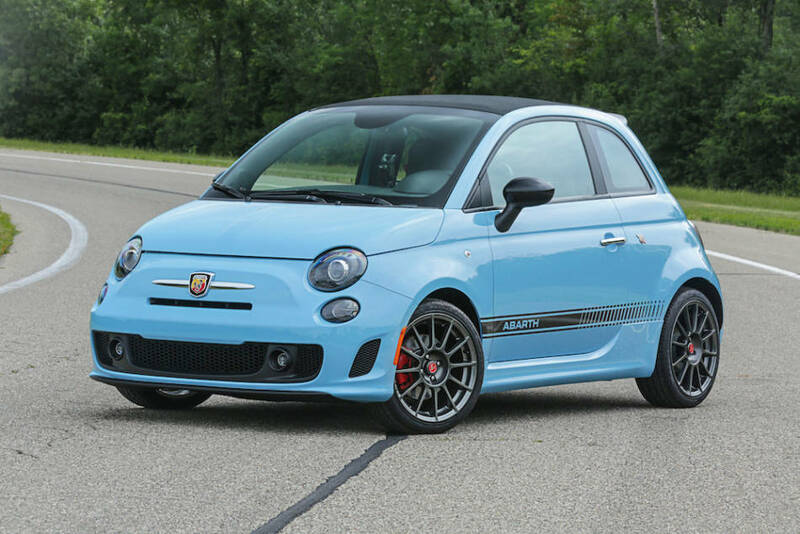 The 2017 Fiat 500 Abarth is considerably more aggressively styled than other Fiat 500 iterations. 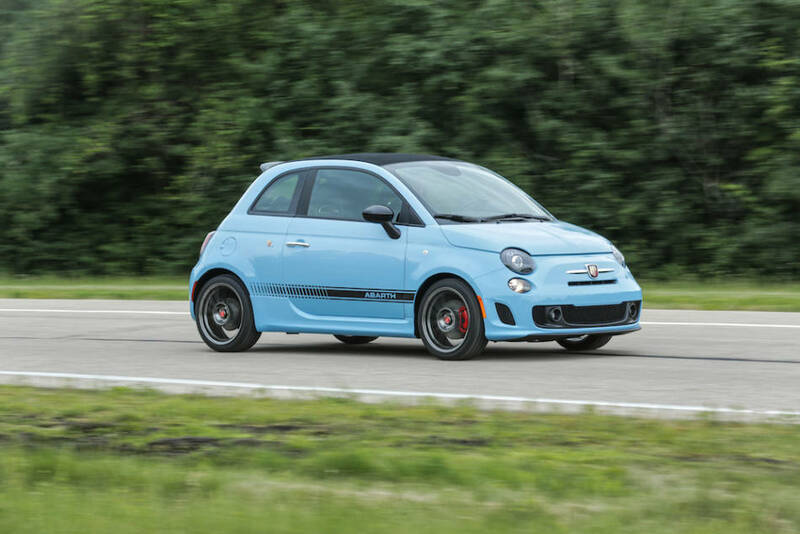 The 2017 Fiat 500 Abarth is the top of the model line both in performance and fun. 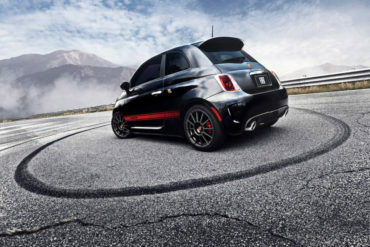 It has aggressive, standout styling elements (in addition to the standard unique design) that emphasize the car’s individualistic character. The Abarth is very fun to drive with an outstanding smile factor.